Inviting a few friends for a weekend dinner means cooking and sharing your food. Getting together means a lot. It also means one thing. Food. But how you feed a crowd? You need to think the easiest way to feed them. You need to think about flavor, good coloring combinations and creating recipes that look interesting and inviting. Preparing a food to share can take to gather friends from a simple night into a night to remember. 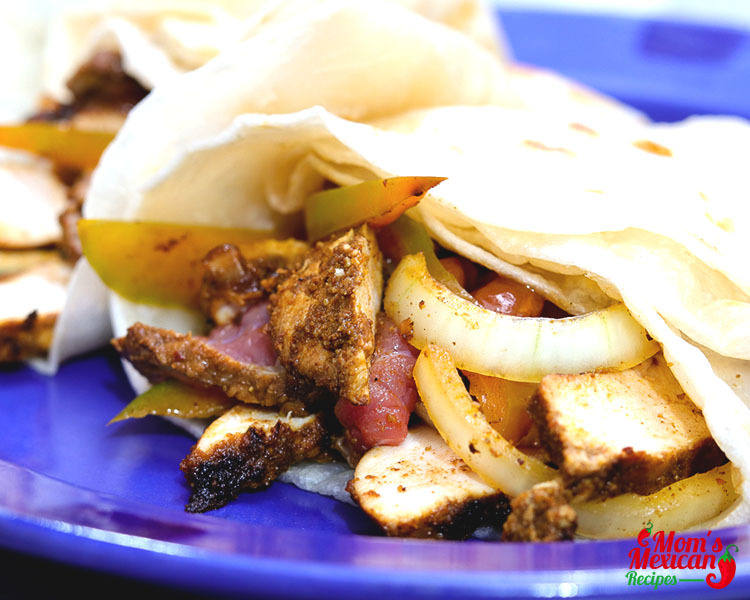 Let me introduce you this Chicken and Beef Fajitas Recipe. You can prepare a selection of nibbles for everyone to enjoy it and pass around your party quests. Served them favorite party platters or a barbecue treats while waiting for the main dish to serve. Let the food speak for itself. Make sure all the food you serve needs to be eaten and ask them to use “fork only and one handed” to make it more exciting. Let them wonders what kind of dish you are serving. 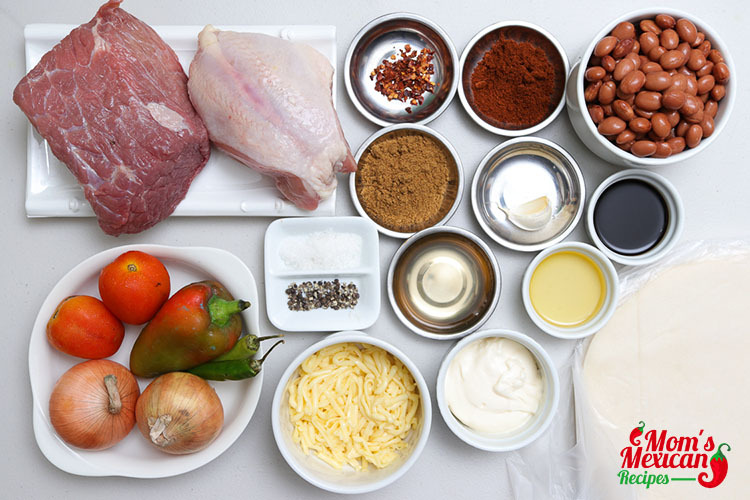 One dish that is super simple, healthy yet mighty delicious and ideal to serve as the main dish is the Chicken and Beef Fajitas Recipe. It is served for parties and casual get-together on a number of occasions. 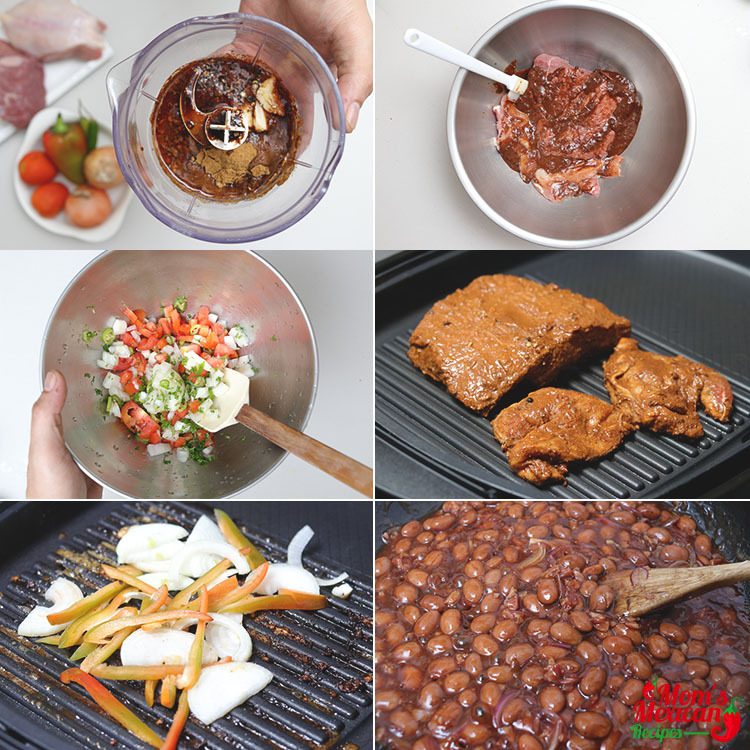 A perfect choice for a meat that is quick, easy and with filling to feed a lot of people. It tastes great too. It is made with marinated chicken and beef before being cooked on a grill served on a corn or flour tortillas. Fajitas, Burritos, and (Pork) Tacos are invariable part of Tex-Mex Cuisine, a part of traditional Mexican food. 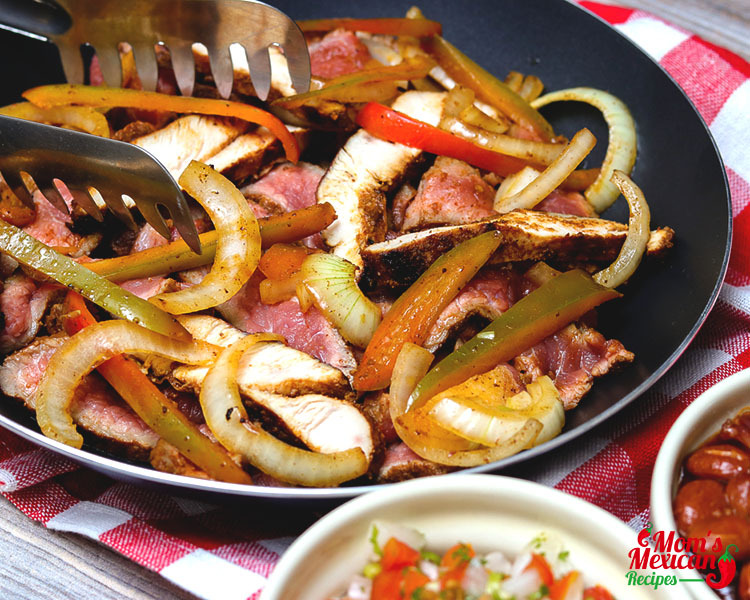 Traditional Fajitas contain a variety of meats such as chicken, lamb, pork, shrimp, salmon and all other cuts of beef, as well as green onions, peppers, sour cream, salsa sauce, cheese, tomatoes, etc. Various types of herbs and spices can also be used. 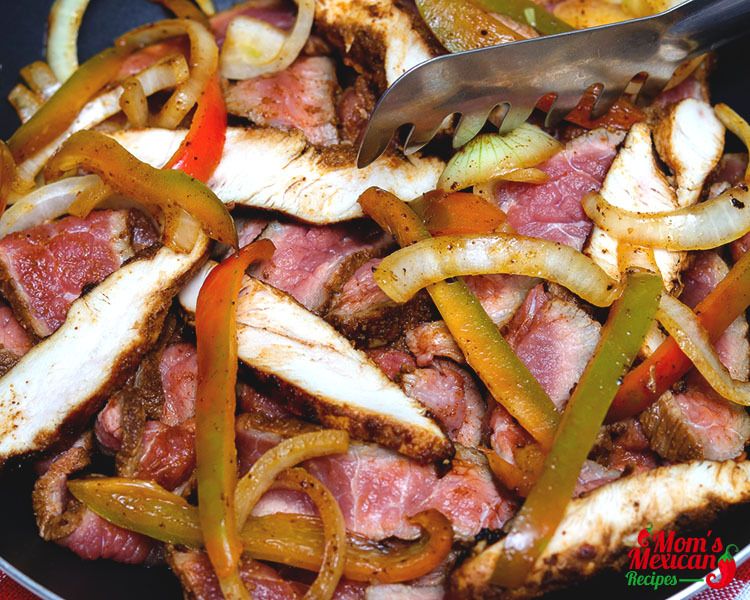 Fajitas contain some nutritional benefits such as vitamins and minerals depending upon the ingredients. Blend all ingredients for the marinade in a food processor. Marinate the beef and chicken breast overnight. Toss all ingredients for the pico de gallo in a bowl. Chill until ready to serve. Grill the chicken for 4 minutes each side. Grill the beef for 3 minutes per side. Rest for at least 10 minutes before carving. Sautee the onions and bell peppers in a grill pan. Reheat the tortillas on a non-stick pan. 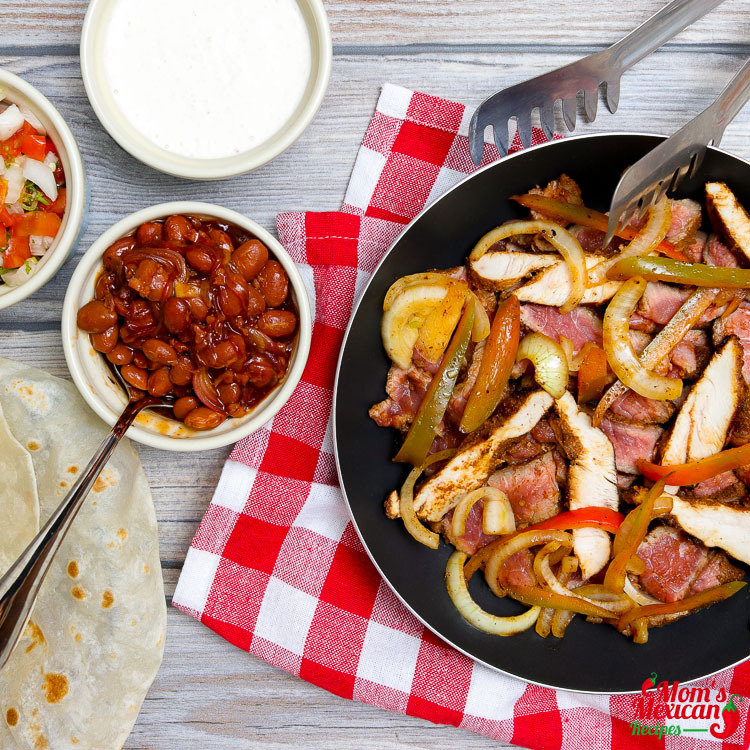 Serve fajitas with tortilla, pico de gallo, sour cream, cheese, and chili beans.